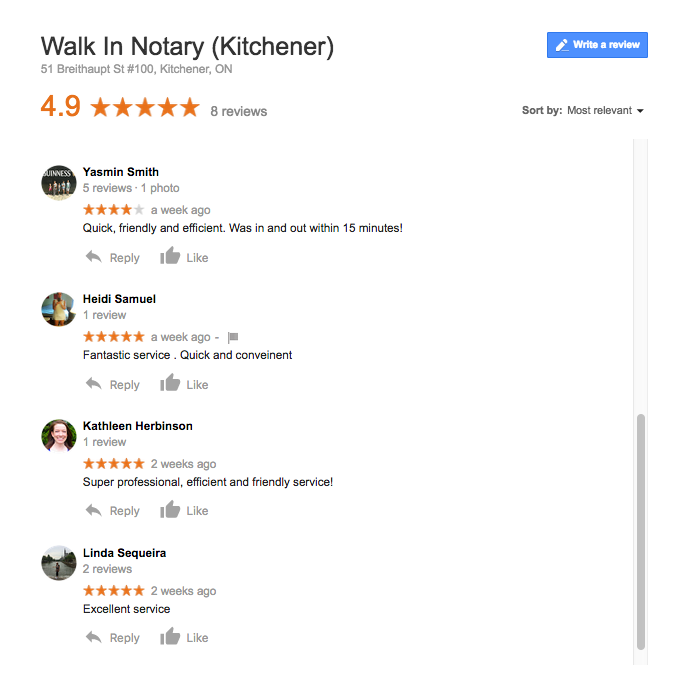 For a full list of our Kitchener Notary Public Services click here. 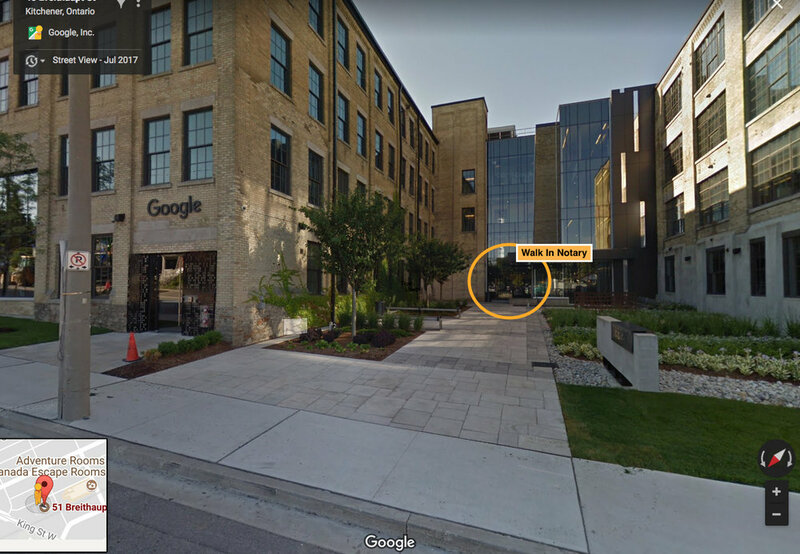 Our office is located on the main floor next to the Google building in Kitchener. Please ask reception for "Walk in Notary". We are located at 51 Breithaupt street (on the main floor) in Kitchener. The entrance to the right of the Google entrance in the above image. We accept debit and all major credit cards. We do not accept Cash or Checks at this location. Email us at kitchener@walkinnotary.com or use the form below. We respond to messages very quickly.